Note: This is a simple and tasty side dish. It has a very nice, mild flavor and is a good complement to fish. 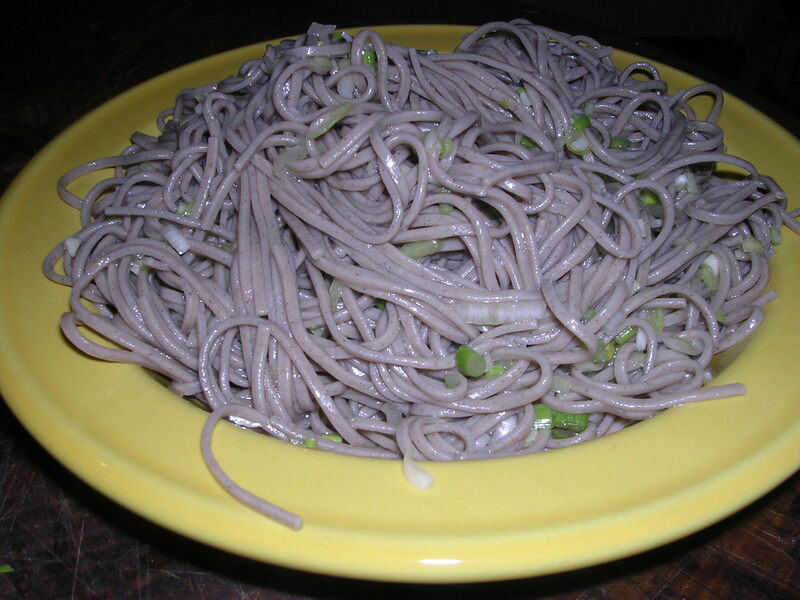 Soba noodles are buckwheat noodles and can be found in most major grocery stores in the Asian aisle. Cook soba noodles in a medium saucepan of boiling, salted water about 5 minutes. Drain and rinse under cold water. Drain again. Transfer to a medium bowl. In a small bowl, stir together vinegar, oil, soy sauce, sugar and salt. Toss in the scallions and stir to coat. Toss dressing with noodles. Serve at room temperature.